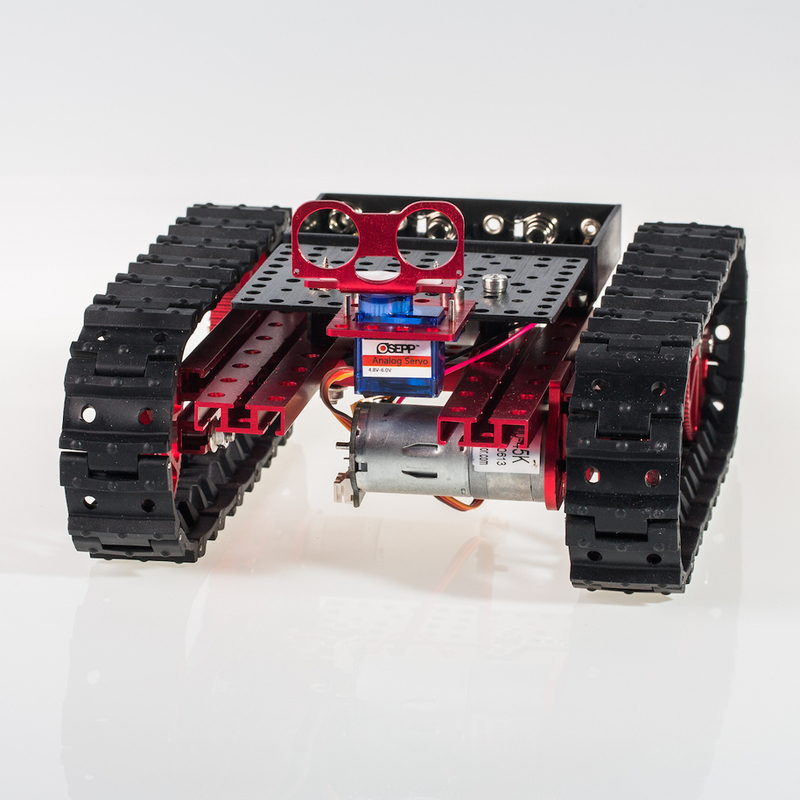 Ideal frame work to start creating your robotic project. 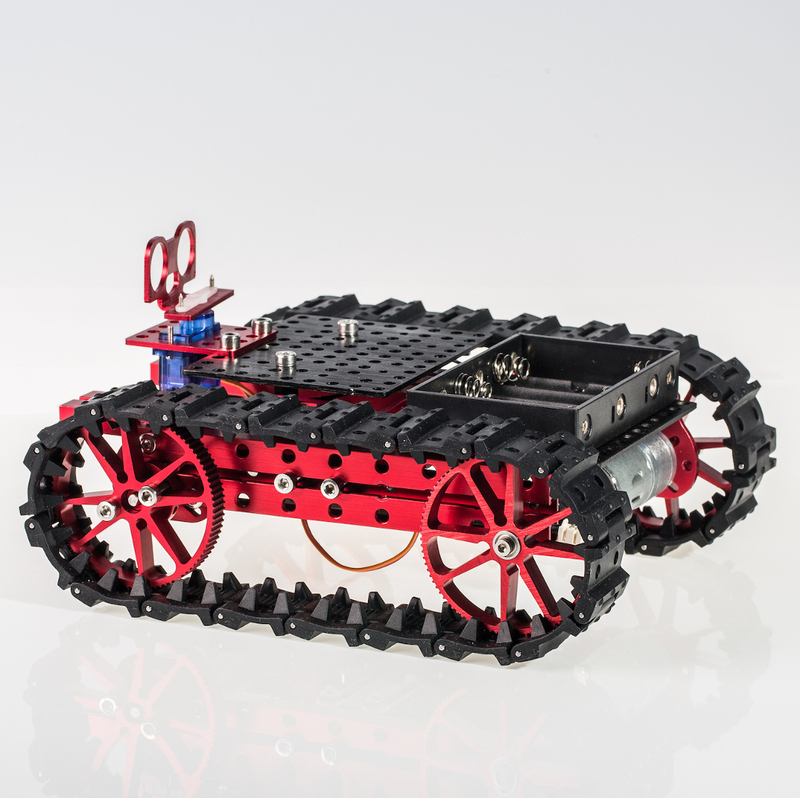 The Tank Robotics Mechanical Kit can handle all of your off road / all terrain needs! 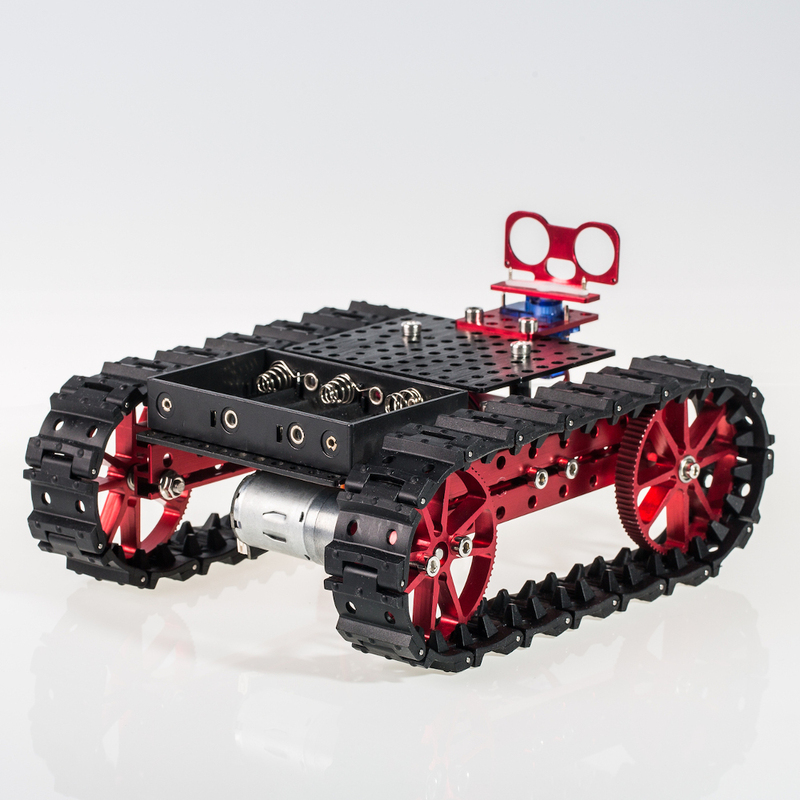 All of our mechanical parts are coated with an anodized finish to prevent from corroding. 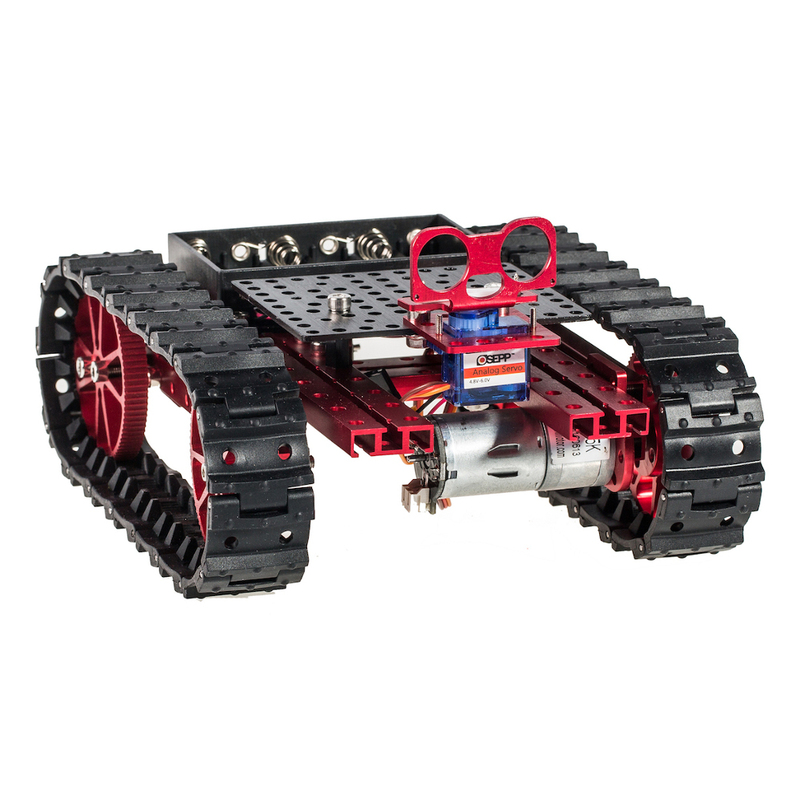 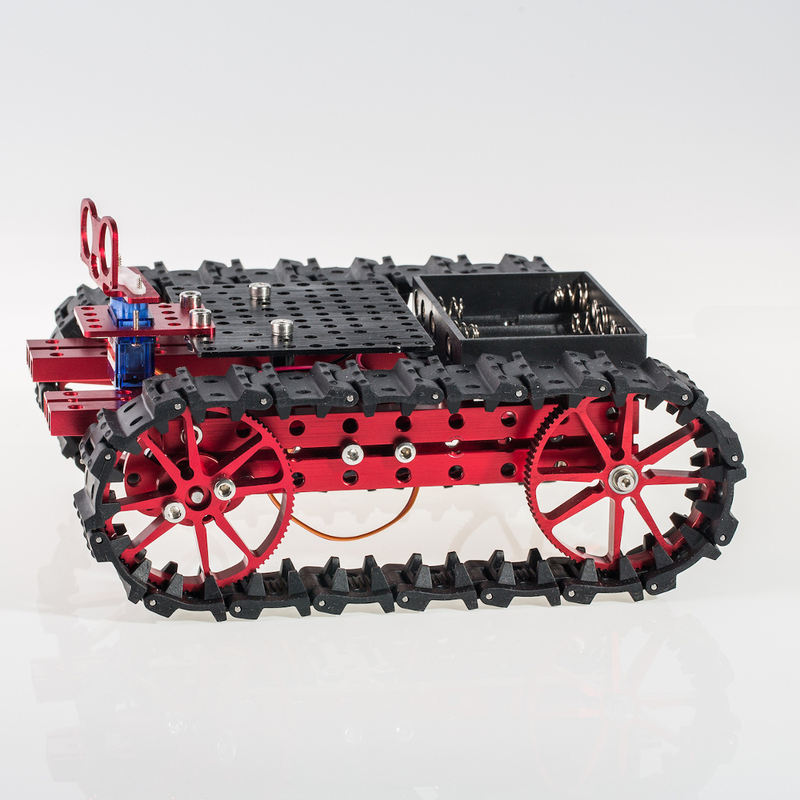 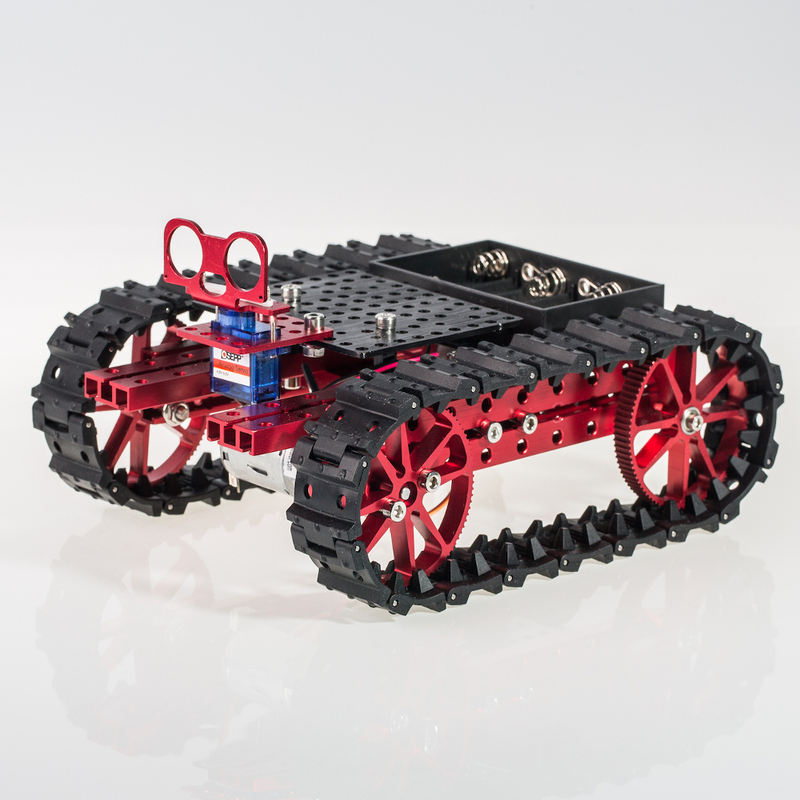 Enhance the Tank with our Functional Robotics Kit or select your own sensors and micro controller.